Our specialist Mind Centre consultants work with your executives helping them to strengthen both their cognitive capacity as well as their emotional intelligence. This enables them to learn ways to sustain their physical, mental and emotional energy, leading to high levels of performance and productivity. Contact us for a free, no pressure consultation to see if we are the right fit for you! Our goal is for our clients to increase their capacity to be effective, confident and resilient, and to enable them to sustain high levels of performance and productivity – thus achieving organisational success within stressful and highly complex environments. The Executive Mind Centre programs identify areas of strength and weakness in both cognitive and emotional processing, through careful assessment and subsequent design of programs of individualised exercises for each executive/executive team to target their precise areas for development. The work we do in the Executive Mind Centre has been founded on a mix of neuroscience research, leadership theory, developmental philosophy and Eastern psychology. We have over 55 years of combined experience working with leaders across a range of industries. The Executive Mind Centre programs are structured to strengthen the cognitive capacities that develop self awareness, mental agility and adaptability, emotional regulation and situational awareness – characteristics that when cultivated, affect decision-making, creative thinking, and problem resolution. A variety of research indicates that stressful conditions can produce harmful changes in the brain. Stress is produced by real or imagined events perceived to threaten physical, social and mental well-being. Stress can also bias decision-making more toward reactive, unconscious emotional choices. We use proven techniques to bolster mental fitness and build resilience against these everyday stressors. Barbara is Executive Mandala’s founder and Managing Director, and is a widely acknowledged specialist in the field of human change. She has helped many executives to significantly transform the way they operate in their roles, bringing about higher levels of personal performance and organisational success. Barbara specialises in working with executives – helping them to strengthen both their cognitive capacity as well as their emotional regulating system, thus enabling them to not only reinvigorate themselves, but to learn ways to sustain their physical, mental and emotional energy leading to high levels of performance and productivity. Her career spans 35 years – and during this time, her business experience has been gained both domestically as well as internationally. In her most recent corporate executive role, Barbara headed up the executive coaching business for an international consulting firm across the Asia Pacific region. She was also a member of the global executive group accountable for managing the quality of delivery of coaching worldwide. In these positions, Barbara was responsible for developing the expertise of a cadre of coaches across a number of cultures in the region, including India, Greater China and Korea. She also personally delivered coaching to senior level executives throughout these regions – and continues to do so. Of particular interest to her is risk mitigation and leadership style, and her work with senior leaders often makes a significant contribution to this critical aspect of business operation where the organisation may be at genuine material risk. Service contribution to the not-for-profit sector forms part of Executive Mandala’s overall strategy, and Barbara and her team currently provide coaching support to executives in one such organisation. She was appointed to the Board of Directors of Disability Services Australia early in 2014, and enjoys being part of the sector at this very important period of political and social change with the implementation of the NDIS. She is a member of the teaching faculty of PDP (Professional Development People), and teaches mindfulness technique to clinicians in the psychology arena. She is currently completing her doctorate in philosophy, the key focus of which is looking at the effects of stress and complexity on executive ranks in corporations. Reviewing the provision of a fully integrated approach for dealing effectively with these pressures has formed part of specific elements of her research schedule. She is a registered Psychotherapist and is a member of the Australian Association of Buddhist Counsellors and Psychotherapists, as well as holding membership of the Australian Institute of Company Directors (AICD). Barbara has worked with companies such as American Express, AT & T, BHP Billiton, Bupa Australia, Campbell Arnotts, Centennial Coal, Cisco Systems, Citibank, Downer EDI, Dyno Nobel, First Data International, Foxtel, KPMG, O’Brien Glass, Telstra, Pacific Islands Club, Schering Plough, SMEC, Sun Microsystems, Taj Hotels, Resorts and Palaces Worldwide, UGL. Simon has over forty years experience in IT within organisations ranging in size from fewer than twenty to hundreds of thousands. The organisations range from local government in the UK, through mainframe hardware and software vendors, agencies servicing very specialised markets like the advertising industry, major telecom companies and major IT service organisations. He has served as European Product Specialist for two of the now defunct Candle Corporation’s major products servicing customers in UK and across Western and Northern Europe. He has been technical lead on major mainframe and storage sales initiatives into a major British bank for Hitachi Data Systems in the late 1980s and has played significant roles at the interface of technology and business within major telecom and IT service providers since migrating to Australia in 1990. In that time, Simon has participated in many change projects, both intentional and circumstantial, most notably the expansion of a small company from fewer than twenty staff to over one hundred in two years and several major outsourcing initiatives as both outsource services provider and member of the outsourced IT organisation, in management and as a technical specialist. The difficulties and partial success of these initiatives, and many others, have driven his interest in the factors supporting and inhibiting effective change within business organisations. His interest in the wider field of human change and development has led him on a participative exploration of psychological and spiritual change models and techniques since the early 1970s, and of business change models since the late 1990s. This interest is reflected in his forty-two year Zen meditation practice combined with martial arts and has culminated in his completion of a Bachelor degree in Counselling and Human Change at Jansen Newman Institute in Sydney in 2009. In the mid 1990s he was certified as an NLP Practitioner by McClendon Associates and is now certified by The Leadership Circle to administer and interpret their Individual and Cultural Surveys and by RocheMartin to administer and interpret their Emotional Capital Report (ECR, ECR360 and ECR Selection Report). He is also certified in Developmental Assessment by Otto Laske, PhD’s Interdevelopmental Institute. He is currently in his final year of a MSc Medicine (Psychotherapy) at the University of Sydney. He is dedicating the senior years of his life to the facilitation of congruent and authentic developmental change in individuals and in the organisations which are so central to our lives. He takes it as obvious that the changes needed at this point in human history not only include new ways of thinking but, and particularly in organisations, new ways of choosing how we behave towards each other. Simon has worked in and with such organisations as Fidelity Bank of Philadelphia Pa., T. Wall and Sons (UK) Ltd, Readers Digest (UK), Triad Computing Systems Ltd. (UK), Donovan Data Systems (UK) Ltd, Candle Corporation, First Data International, Hitachi Data Systems, Telstra and IBM. Miriam Holder is a qualified Human Change Specialist who has a strong interest in communication as it relates to change in self and organisations. She has worked in a broadly eclectic range of organisations including Multinational I.T., Tertiary Education, Government Departments, as well as individual practices. Miriam has had a fascination for effective and brave communication for many years and her experience working therapeutically with individuals, as a group facilitator, and as a technical writer and editor has provided a crucible for learning about how change and different types of communication affect each other. She is interested in exploring all aspects of communications and began with learning languages and studying cultures – moving to the written form working as a writer – and finally studying and practicing inter and intra-personal communication individually and with groups. A strong and deeply held belief Miriam has is that the foundation for all useful, meaningful, and sustainable change lies in the method of, and ability to, communicate ideas and perspectives assertively and openly. This is never more relevant now in corporate and business life given the rapid rate of change we must all work with in the modern day. Through her own learning and study, and by assisting others, Miriam lives and works by the principle that as one’s own self awareness grows and ability to communicate strengthens, so too does the ability to influence and manage change in all fields one is connected to. Miriam believes this is vital in organizations where change and high pressure situations abound. Greater self awareness and stronger inter and intra-personal communications allows executives to better manage relationships, stressful situations, and change with honesty, bravery, and trust. Miriam’s career spans 25 years in companies such as IBM, Macquarie University, State Library, Australian Consulate General San Francisco, and the Jansen Newman Institute. Her experience is both domestic and international throughout Asia and North America. This has enabled Miriam to develop a greater understanding of corporate life and the ways of change in different cultures fostering a deeper understanding of different cultures and evolving a greater respect of differences. 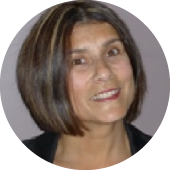 Miriam holds a Bachelor of Arts (Honours Italian), a Graduate Diploma of Editing and Publishing, Certificate IV in Telephone Counselling, Certificate IV in Training and Assessment, and a Graduate Diploma in Counselling and Psychotherapy. She is also a registered psychotherapist, and practices hypnotherapy. Chris believes that creating sustainable change at an individual and organisational level is paramount. He brings innovative skills, a high level of emotional intelligence and person-centred skills that will amplify and add value to the workplace. Guiding and nurturing people to gain insight and have a positive impact on their work life as well as their personal life is one of Chris’ strengths. Chris has a BA (Hons) in Psychology and Masters (MSc) of Developmental Psychology from the University of Sussex, England as well as a Post Graduate Certificate of Education from Brighton University, UK and a Masters of Counselling and Applied Psychotherapy from Torrens University, Sydney. 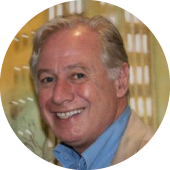 Chris has had a very successful career in education in London and Sydney where he has had various leadership roles as well as consultancy positions. This has involved working with teams that have either needed significant positive change or have needed to maintain high-quality outcomes. Working strategically with specific individuals as well as with teams, Chris tailors his knowledge and expertise to bring a personalised approach to organisations he has worked with. Creating and running workshops is a specialty area for Chris. Specialist organisations such as Virgin Active, headspace Campbelltown and One Door Mental Health (previously Schizophrenia Fellowship of NSW) have recently engaged Chris for tailored and specific workshops. 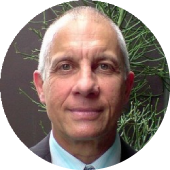 He also owns his own psychotherapy and coaching business in Sydney and is registered with PACFA. Chris has always placed himself in roles that involve working with people across all levels of the organisation. Being interested in the psychology of human behaviour and the mind, he has been able to adapt himself to collaborate with a range of different personalities and backgrounds. He has helped many individuals and organisations achieve their full potential by using a range of techniques as well as providing an empathic and trustworthy environment whereby people feel suitably challenged and empowered. Kathryn’s career spans over 20 years in investment banking, legal practice and in the NSW public sector. In these roles (both in Sydney and in London), Kathryn gained extensive experience in managing a diverse portfolio of professional teams and complex international financing transactions together with implementing strategic and cultural change. Kathryn’s breadth of experience in functional, advisory and senior management roles across different types of organisations, each with an inherently different culture has enabled Kathryn to develop a deep insight into the demands, complexities and challenges faced by executives working in such environments. While working in senior management Kathryn became involved in driving transformational change, which stimulated her interest in organisational culture and leadership development. This led her to develop her skills in emotional intelligence and leadership resilience by studying Psychotherapy and Coaching where she received Awards for Academic Achievement. The cornerstone of her coaching philosophy is the development of personal awareness and equanimity coupled with a ‘strengths based’ approach. Kathryn has worked in a range of organisations including Herbert Smith Freehills, Westpac, JP Morgan, Ashurst, ABN AMRO, RBS and the Department of Justice. When working in senior management, Kathryn leveraged her coaching skills with diverse professional teams to implement strategic and cultural change. In terms of human change, Kathryn’s particular focus has been on the factors that foster innovation and organic, sustainable growth. Kathryn holds a Master of Laws (International Business Law), Bachelor of Economics and Bachelor of Laws (Honours) and a Graduate Diploma in Counselling and Psychotherapy. 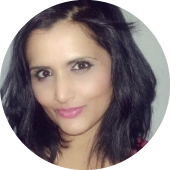 She is also a member of The Counsellors & Psychotherapists Association of NSW Inc.
Sonal has a thorough understanding of human behaviour and change with an acute interest in its application in the corporate environment. She brings this innate passion and awareness that is underpinned by psychotherapeutic practices and framework into the coaching and mentoring field. 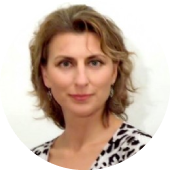 She provides a unique style to the coaching environment which is built upon the foundation of such practices and frameworks which develops a deeper awareness of the client’s motivations, aspirations and values at a professional as well as a personal level. As a Coach, Sonal has provided leadership development and career management coaching to her clients in a solution focused environment. Sonal has worked closely with clients to gain a clear comprehension of their values, career aspirations and personal goals to develop a tailored one on one program. She has worked in a collaborative and holistic manner to enable individuals to better manage work place challenges, be ready to take the next step in their career, increase job satisfaction and ultimately improve productivity whist creating a balance between their values and the values of the organisation. Sonal also has over 12 years of experience within the private sector in sales and marketing, insurance underwriting, risk management, people management and customer service. She also has experience as a capable Recruitment Consultant with end to end recruitment experience. This included a complete understanding of the client’s organisational, cultural and technical needs and then sourcing the right candidate to fit the cultural environment as well as the technical needs of the role. Inclusive in this process Sonal also offered interview coaching, job coaching and career counselling to her candidates. Sonal holds a Bachelor of Applied Social Science ( Majoring in Counselling and Psychotherapy ) from Jansen Newman Institute and she has worked with several well known organisations in the insurance industry such as NRMA. Wesfarmers Insurance, Cuna Mutual Insurance Group and QBE. John is an experienced and commercially astute business professional. He has a unique blend of business experience in operational and creative executive roles, as well as in business psychology. This positions John very well to understand what makes both people and business “tick” and has given him a sound understanding of business metrics. He has coached executives in a number of industry sectors such as Finance and Banking, Engineering, Government and other large scale organisations. He is skilled in the use of 360 feedback to help coach and develop executives to acquire the skills they need to become high performers who deliver successful business outcomes. John has a strong interest in developing people and helping them to acquire the interpersonal skills to be successful in their roles. Often the focus on driving business outcomes can take precedence over the interpersonal dynamics in an executive team. Current research tells us interpersonal skills, or what is popularly termed Emotional Intelligence, is a significant factor in the commercial success of an organisation and can carry over and be of benefit in an executive’s private life. When business leaders acquire personal awareness and an understanding of the people they work with, they develop stronger and more enduring relationships. Having worked in the cut and thrust of corporate life at a senior level, John is well aware of the challenges business leaders face. It was his own experience in this environment that prompted him to embark on a new career in business psychology 20 years ago. His experience over the years has shaped his approach to executive development. He is deeply interested in helping people to develop their insight into both themselves and others. John has worked on a number of executive development programs. 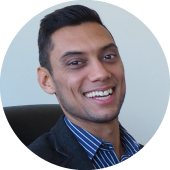 He has expertise in the delivery of business psychology solutions with broad ranging experience including client liaison, design and delivery of complex behavioural simulations for executive development and giving feedback on the outcomes. Much of his work has been at the executive level, helping organisations to develop and coach their senior people through change programs. Take a Quick Quiz & Find Out! Only our rich personal resources can fuel us to become, and then sustain ourselves, as effective leaders. These skills can only truly be revealed from deep awareness and a genuine rigor to ask the questions that will make the most difference. Then, one must apply these learnings and understandings day to day to create success in every aspect of our business (and life) which require them. 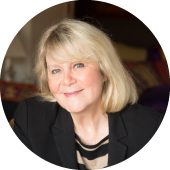 Barbara’s brilliant and insightful guidance will unlock the exact resources to take you on a bold, fulfilling and richly rewarding experience which will, without question, make an enormous and lasting difference in any area you have the courage to delve into. The beauty and wisdom of this approach is there is nothing to be ‘fixed’, only forged, and with that comes such instinctive repair and sustained alignment. A journey not to be underestimated nor missed. After 31 years of running my own company, I feel renewed and resourced in a way which was long overdue and genuinely welcomed. When running a business there is no end to the tasks that you need to perform. Everyone wants a piece of you including your family. Working with Barbara has enabled me to understand what I need to do to manage this. For me it is all about focusing and being mentally engaged rather than constantly worrying about what might be. It’s been an amazing experience and great learning for me to work with Barbara. She is a person that is an extreme good listener, allowing me to feel at ease and reflect on my performance, she has provided very impressive inputs and responses to my learning and development needs. In addition, by deploying practical tools as well as pointing me to relevant subject matter literature, she has been able to revise my mindset and allow me to be more conscious in my working life. The benefits this coaching program has delivered is making a remarkable change to my development at work, but just as importantly to my personal life. My experience with Barbara was transformational. I’ve had a number of previous engagements in group and individual coaching, and have received feedback through a number of ‘instruments’ as well to help me in my leadership journey. However, none were more effective than the tools that Barbara used, and she also was very unique in her approach – patient, kind, clear, and more ‘holistic’ than any other coaching engagement I have ever experienced. The result for me were very fundamental shifts that have improved my leadership effectiveness considerably. As an executive living abroad and travelling extensively, the pressures of work and family were becoming unmanageable. Barbara’s coaching helped me to uncover and confront the beliefs that were undermining my success. By helping me better understand my strengths and manage myself, Barbara enabled me to focus my efforts and achieve more satisfaction in my professional and home life. Our executives are highly experienced both in business and in the field of human change. This means that not only do we fully appreciate what it is like to be in leadership roles within organisations, but we also have the level of expertise necessary when helping leaders to make genuine, long-lasting changes in the way they lead, not only their business, but also within their personal lives. Below are statements about you with which you may agree or disagree. Using the following scales, indicate your level of agreement or disagreement. What does this score mean? Please fill in your email address and we will email you the results shortly. From your responses we'll give you an idea of how you stand as a resilient leader overall and in 4 critical components of resilience: Social Support, Optimism, Bounce-Back & Self Efficacy.